The Kure is an antivirus software that offers full protection from ransomware, malware, and viruses. It builds a safe-house in your hard drive which is compatible with Windows 10, 8.1, and 7. In this article, we cover The Kure reviews and pricing. Ready to get started? Visit its website. As of the date this article was written (March 06, 2019), there are no up-to-date The Kure reviews online. 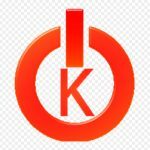 If you are a past or current The Kure customer, leave a review to help other business owners who are deciding whether or not to use the software. The Kure pricing for its licensing fee is $19.95 per year for 1 PC. There are no cancellation fees and the amount paid is fully refundable within 30 days from the date of purchase. There is also a $1,000 guarantee if the software cannot remove the virus within the subscription period. Ready to get started with The Kure? Order now. How many computers are included in The Kure’s package? The Kure’s license is good for one computer and covers the whole life of that device. Does The Kure offer Customer Support? The Kure currently offers unlimited and free customer support for buyers as long as their license is active. Have you read these The Kure reviews and are still not sure if it’s the right fit for you? Read our reviews of all top internet security software providers check out one of these three The Kure competitors.